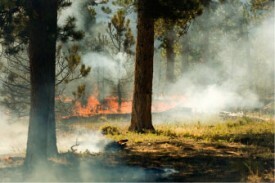 More prescribed fire means less wildfire. Those that do it understand the significant cost and risk involved. At AmericanRx Fire Appliances, we have been on the fireline. We understand. We have taken our experience and have applied it, creating an innovative line of prescribed fire products to vastly improve safety and efficiency. TorchRider is one of these solutions.